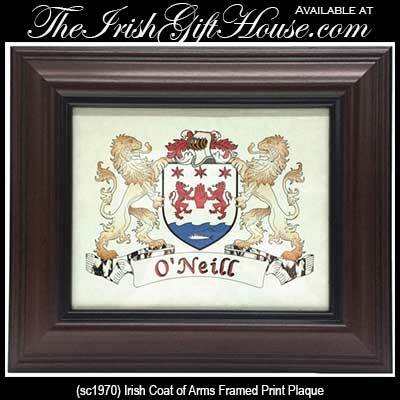 This Irish Coat of Arms Print Plaque features a deep mahogany stained wooden frame. 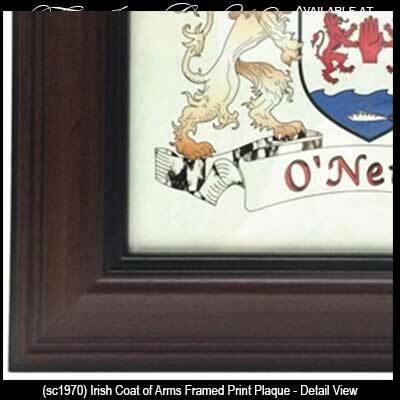 The wood frame holds a high-quality print of your Irish family coat of arms on fine paper and features a glass cover, easel backing and wall hanging hook. 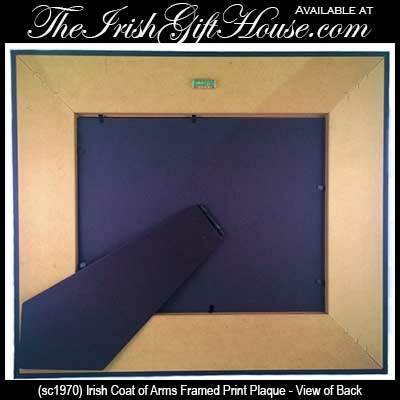 The Irish Coat of Arms print measures 10" wide x 8" tall and the overall size is 15" wide x 13" tall. Choose from over 900 Irish names.